As if it wasn’t already completely self-evident, WikiLeaks has released a number of cables showing that Saudi Arabia is probably going to run out of oil a lot sooner than they’ve been claiming, and that, of course, their ability to keep oil prices down at a “reasonable level” isn’t going to last much longer. “The cables, released by WikiLeaks, urge Washington to take seriously a warning from a senior Saudi government oil executive that the kingdom’s crude oil reserves may have been overstated by as much as 300bn barrels – nearly 40%,” John Vidal of the Guardian reports. The cables are from 2007-2009. The information released in them concern information and recommendations from Sadad al-Husseini, a geologist and former head of exploration at the Saudi oil monopoly Aramco. On November 20, 2007, CG and Econoff met with Dr. Sadad al-Husseini, former Executive Vice President for Exploration and Production at Saudi Aramco. Al-Husseini, who maintains close ties to Aramco executives, believes that the Saudi oil company has oversold its ability to increase production and will be unable to reach the stated goal of 12.5 million b/d of sustainable capacity by 2009. While stating that he does not subscribe to the theory of “peak oil,” the former Aramco board member does believe that a global output plateau will be reached in the next 5 to 10 years and will last some 15 years, until world oil production begins to decline. Additionally, al-Husseini expressed the view that the recent surge in oil prices reflects the underlying reality that global demand has met supply, and is not due to artificial market distortions. 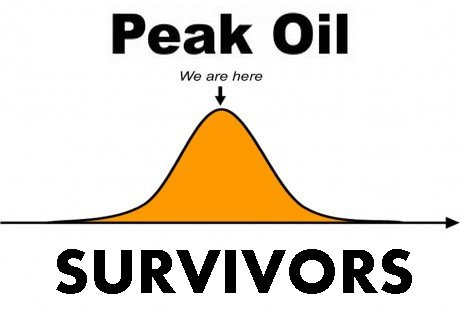 Umm, the bold part at the end is the definition of peak oil. 7. (C) Considering the rapidly growing global demand for energy – led by China, India and internal growth in oil-exporting countries – and in light of the above mentioned constraints on expanding current capacity, al-Husseini believes that the recent oil price increases are not market distortions but instead reflect the underlying reality that demand has met supply (global energy supply having remained relatively stagnant over the past years at approximately 85 million barrels/day). He estimates that the current floor price of oil, removing all geopolitical instability and financial speculation, is approximately 70 – 75 USD/barrel. Due to the longer-term constraints on expanding global output, al-Husseini judges that demand will continue to outpace supply and that for every million b/d shortfall that exists between demand and supply, the floor price of oil will increase 12 USD. Al-Husseini added that new oil discoveries are insufficient relative to the decline of the super-fields, such as Ghawar, that have long been the lynchpin of the global market….. So, how’s about a bicycle?